There is a difference between a legitimate argument, relevant criticism of Israeli policy, and a monumental campaign of false claims of apartheid, genocide, crimes against humanity, and proclamations that Israel was born in sin because it is a colonialist entity and as such is involved in the serious crime of ethnic cleansing. The following short answers to the propagandists lies do not attempt to defend this government, or any other government of Israel. They are meant only to refute some of the false claims that are uttered time and again against Israel. Serious accusations have also been heard from within Israeli’s academia and the Israeli media. Here, too, you can hear the accusation that Israel is an apartheid State. Here, too, there are people who claim that Israel is involved in genocide. Israelis claim that the IDF treats the Palestinians the same way the Nazis treated the Jews. The fact that such claims are heard in Israel does not make them true. It is simply proof that Israel is a vibrant democracy, with freedom of speech that allows for the expression of false accusations. The problem is that throughout the world such claims gain very serious platforms. “Factual” claims are not examined, even though a simple examination would lead to their dismissal. The ideas presented here are NOT intended to be a political stance. It is a presentation meant to fight incitement, propaganda and demonization, and facilitate a fair political debate. These are not all the claims against Israel. There are others. Some are just claims. Not every closing of every store in Hebron is fair. Not every hold-up in every check-point is justifiable. Not every prevention of digging a well is excusable. Israeli society, as a democratic society, with a free press and watchdog organizations, analyzes and monitors itself. This is the reason for many changes in the last two decades. Mainly changes for the better. There are fewer check points. There is more self-rule for the Palestinians. The wish for settlement or agreement is a just wish, even if there is a heated debate in Israel and outside regarding the terms. It is clear, though, that the Boycott Movement does not wish for peace or a settlement. It is a movement that uses arights discoursein order to deny the right of one people to self-determination. It is a movement whose leaders and guides mislead many of its supporters. The leaders oppose peace. Many of the supporters wish for a just peace settlement, based on two States for two peoples, so the points presented here are not meant to support any one political stance. They are meant to present basic facts. They are intended to refute the propaganda of lies and enable a dialogue that is fair, even if it is critical, which is a fundamental condition to solving the Israeli-Arab conflict. The Lie: "Zionism is a colonialist movement. You conquered from the Palestinians land that is not yours." The Truth: Zionism is a national liberation movement, like many others that were established in the 19th and 20th centuries. Zionism did not "conquer." 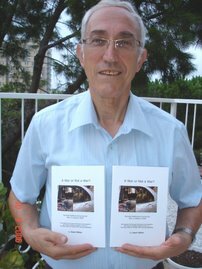 Many Jewish people, who were persecuted, especially in Eastern Europe and the Arab countries, started making their way to Israel. There was no entity called Palestine at that time. It was a piece of land extremely sparsely populated, under the rule of the Ottoman Empire. Herzl appealed to the Turkish Sultan and other dignitaries in order to get permission to allocate this part of the land to the Jews. The consent was received only in 1917, with the Balfour Declaration stating “A national home for the Jewish People”, and was confirmed by the League of Nations in 1922. Until the establishment of the State of Israel in 1948 not one Arab was driven away from his land, and every piece of land that the Jews settled on was purchased and paid for in full. The Lie: "You drove millions of Palestinians off their land. That is ethnic cleansing." The Truth: In the first half of the 20th century, there were waves of population exchanges for the purpose of establishing Nation States. About 60 million people were uprooted from the homeland. In 1947 the U.N. declared the establishment of two States between the River Jordan and the sea – a Jewish State and an Arab State. The Jews accepted the decision. The Arabs rejected it, and declared a war of annihilation. Many Arabs fled because of the upcoming war, and a few were driven away following the invasion of the Arab state armies into the newly born State. About 711 thousand Arabs became refugees. As a result of that conflict about 850 thousand Jews were forced to leave the Arab countries. Many of them were driven out and their possessions confiscated. Out of tens of millions of refugees in those years, the only ones who remained as refugees are the Palestinians, and that is as a result of a conscious decision of the Arab countries to perpetuate their situation. The Lie: "Palestinians who live in Israel are second-class citizens." The Truth: Israeli Arabs are citizens with equal rights. Arabs serve as Members of Parliament, as judges in courts, including the Supreme Court, as professors and doctors. In the past there were incidents of discrimination, and sometimes there still are. But according to any objective measure, the condition of Israeli Arabs is far better than that of Muslim minorities in Europe. The head of the panel of judges who sent former Israeli president Moshe Katsav to jail, for example, was an Arab judge. The chairman of the Central Election Committee in 2015 Elections was also an Arab. There are numerous examples of the ways in which Israeli Arabs are integrated in the culture, art, economy and academia of Israel. The Lie: "Israel enforces an apartheid policy in the occupied territories." The Truth: Israel has completely withdrawn from the Gaza Strip, and most West Bank Arabs live under the Palestinian Authority which covers most aspects of their lives. The Palestinians on the other side of the Green Line are not Israeli citizens, because they aspire for a Palestinian State, and Israel did not annex the West Bank. Over the last few decades, Israel has accepted, time and again, a settlement of two states for two peoples. Arafat rejected Bill Clinton’s proposal, and Mahmud Abbas (Abu Mazen) rejected a similar proposal by Ehud Olmert. On the very day that the Palestinian leadership accepts a two state solution – a peace agreement will be within reach. The Sorbonne has accepted 600,000 euros per year for three years. In the UK, Eight universities, including Oxford and Cambridge, have accepted more than 233.5 million pounds sterling from Saudi and Muslim sources since 1995. The total sum amounts to the largest source of external funding to UK universities. - 5 million dollars to Rutgers University. The Soviet Union, during the Cold War, invested much less in its propaganda operations in the West. But there is another important difference. The Western intelligentsia fought the Communist efforts to subvert Western democracy. The present governments are offering appeasement to Islam's agenda. On the evening of September 18th air-raid sirens sounded in Israeli communities surrounding the Gaza Strip after a missile was launched from the adjacent territory. The projectile exploded in Sderot. “Israel Police said that a bus was damaged in the strike, while the Ynet website reported that a home was also damaged. The residents were inside at the time of the strike, Ynet said, adding that several people were treated at the scene for shock. Later on the same evening Ashkelon also came under attack. “An Iron Dome anti-rocket battery shot down a Gazan rocket over the southern city of Ashkelon on Friday night. There were no injuries or damages, the IDF said. The second bout of missile fire was reportedly claimed by a Salafist group in the Gaza Strip affiliated with ISIS and hours later Israel responded with strikes on Hamas terrorist infrastructure. In typical ‘last-first reporting’ style BBC Arabic informed it audiences of “Israeli raids on Gaza after the launch of two missiles“. Visitors to the English language BBC News website found no stand-alone report on the two incidents of missile fire but an article on a different topic originally published on September 18th – “Israel steps up Jerusalem security after Palestinian clashes” – did dedicate the grand total of nineteen words to the attacks and fourteen words to the response. Clearly BBC audiences cannot properly understand this story if they are not told who is firing missiles and who is throwing rocks and fire-bombs. The proposed changes to the rules of engagement in Jerusalem of course came about as a result of the violent rioting and not – as this article implies – the other way round. Once again we see that the BBC avoids telling its audiences who those banned “Muslim groups” are, who finances them and to what aim and as usual, the all-important topic of official PA incitement relating to Temple Mount is excluded from the BBC’s narrative. 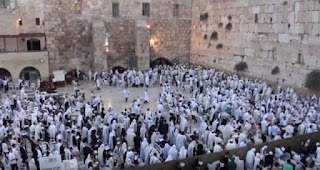 The Rosh Hashanah (New Year) holiday saw riots by radical Islamic operatives to undermine the status quo on the Temple Mount, which protects the right of Muslims to pray in the al-Aqsa mosque, and the freedom of all people to visit the Mount. 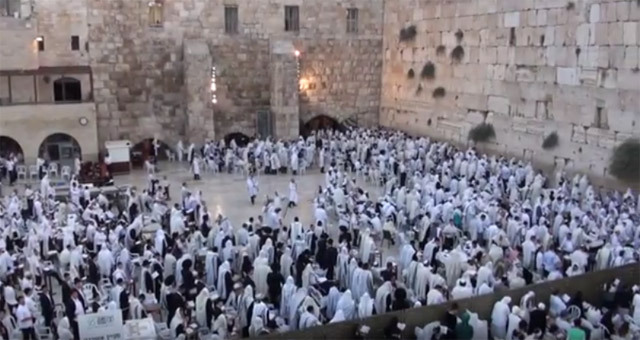 On Sunday, 13 September, on the eve of the Jewish New Year, Rosh Hashanah, a group of some 150 radical Islamic operatives rioted on the Temple Mount/Haram al-Sharif plaza in Jerusalem's Old City. 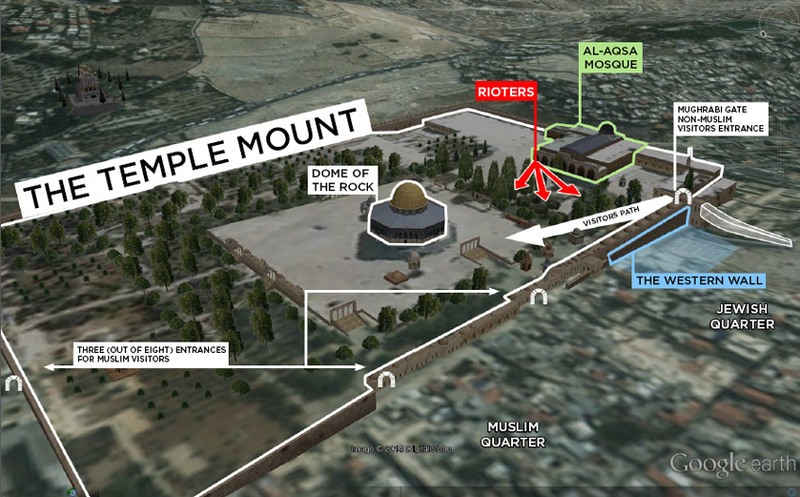 The riots were launched with the intent of undermining the status quo on the Temple Mount, which protects the right of Muslims to pray in the al-Aqsa mosque, as well as the freedom of all people, regardless of their faith, to visit the Mount. The rioters disrupted visits by tourists and Israelis to the Temple Mount plaza - the holiest site in Judaism. 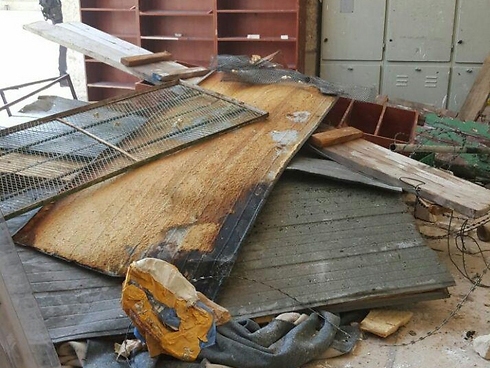 The operatives clearly planned their aggression many days ahead: they had barricaded themselves in advance inside the al-Aqsa mosque, where they stockpiled rocks, planks, wooden sheets and fireworks, and also prepared Molotov cocktail firebombs and explosive devices. The riots continued for three consecutive days, throughout the Jewish festival, as the masked operatives threw rocks, fire bombs and firecrackers at the police, who responded with non-lethal riot dispersal measures. The explosive devices launched by the masked rioters injured a number of police officers and ignited several fires, which were extinguished by the police. In order to restore calm, the police had no choice other than to remove the barricades erected in the entranceway to the mosque, and to close the mosque doors, creating a partition between the rioters and visitors. Soon after, conditions on the Temple Mount returned to normal and visitors were able to tour the Temple Mount plaza. The events were reminiscent of the similar incident which took place in July 2015. The riots then were launched with the intent of disrupting visits by Jews to the Temple Mount plaza - the holiest site in Judaism - during Tisha B'Av (the 9th of Av), a holy day of mourning to commemorate the destruction of the first and second Jewish Temples, as well as to interrupt the normal visits of tourists to the plaza. 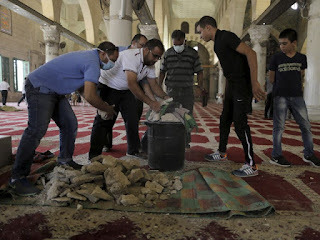 Then, as now, the stockpiles of rocks, fireworks and firebombs used by the rioters and the barricades they placed in the entrance to the al-Aqsa mosque demonstrate that the violence was pre-planned and that the rioters intended to focus the violence around the mosque. Prime Minister Netanyahu has repeatedly declared that the Government of Israel is committed to maintaining the status quo on the Temple Mount and will oppose any attempt to change it forcefully. The status quo protects the right of Muslims to pray in the mosque, as well as the freedom of all people, whether Muslims, Christians, Jews or others, to visit the Temple Mount . The radical Islamist rioters on Temple Mount have deliberately desecrated, damaged and endangered a site holy to Muslims and to Jews, turning it into a battle field, using stones, Molotov cocktails and explosive devices. 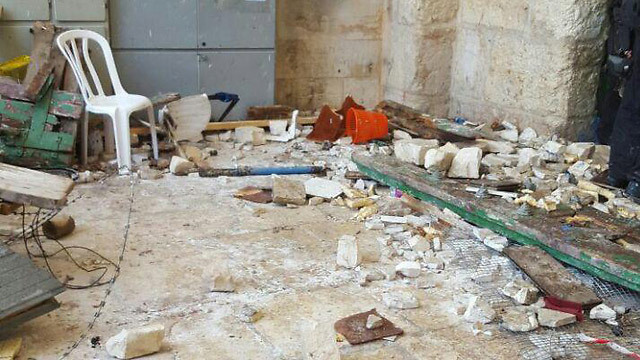 Israel will not allow the al-Aqsa mosque to become a terrorist stronghold. The stockpiles of rocks and weaponry used by the Palestinian rioters and the barricades they placed in the entrance to the al-Aqsa mosque all demonstrate that the violence was pre-planned. While the Israeli authorities take measures designed to ensure freedom of religion for all, allow access to all of Jerusalem's holy sites, uphold the status quo on the Temple Mount and maintain public order, there are many on the Palestinian side who are actively attempting to change the status quo and to undermine the delicate balance and long-standing modus vivendi in Jerusalem. Over the past four years, Islamist radicals have endeavored to violate the status quo by preventing non-Muslims from visiting the Temple Mount, most often during Jewish holidays. Two such groups, the Mourabitoun and the Mourabitat, were declared illegal organizations on 8 September 2015 due to the grave threat they pose to the public order. They are funded and led by the Hamas and the Northern Branch of the Islamic Movement, and are directed to attack visitors, as well as the police, with rocks, iron rods, Molotov cocktails and explosive devices. 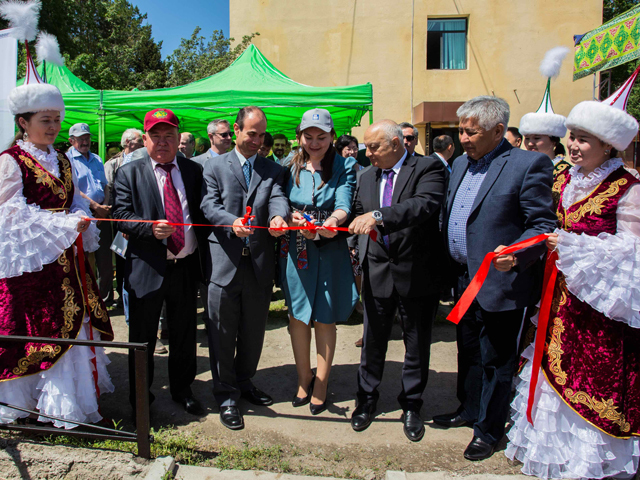 The Israel-Kazakhstan Center, the first of its kind in Central Asia, will focus on demonstration and transfer of innovative irrigation technologies adapted to the local agricultural conditions to improve food security in the region. This is just one of many projects that MASHAV, the overseas development agency based in Haifa, are constantly involved in, in many areas around the world. The Israel-Kazakhstan Irrigation Demonstration Center was established in Ushkonyr, in the Almaty region. The project is being implemented by MASHAV-CINADCO in cooperation with the Israeli Embassy in Kazakhstan, the local Ministry of Agriculture, and “KazAgroInnovation,” the local extension services. The Center’s official inauguration ceremony took place on May 19th, in the presence of the Deputy Head of MASHAV, Ilan Fluss; Israel’s Ambassador to Kazakhstan, Eliyahu Tasman; Michael Brodsky, Counsellor, Euro-Asia Department, Israel’s Ministry of Foreign Affairs; Deputy Head of Mission, Emil Ben-Naftaly; the Head of Research and Development at Kazakhstan’s Ministry of Agriculture; and representatives of the private sector. I didn’t intend to write about my trip to the Temple Mount on Tuesday morning. Having written about politicians visiting the site and arguing about it in the Knesset so many times, I felt that I was remiss in never having been there myself, and simply wanted to get a sense of what it’s like. However, since I wasn’t there to cover news, I decided not to wield my press pass and to visit like any other Jew on a tour of our religion’s holiest site. I mentioned the idea to my parents, who had met Temple Mount Heritage Foundation chairman Yehuda Glick earlier this year. They called him, and he helped organize our tour with guide Eyal Sapir. 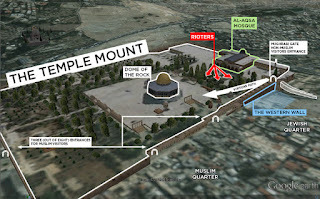 As I said, my plan was to get some background information, but I’ll be honest, I’m a religious Zionist, so I was also very excited to visit the Temple Mount from that aspect, though I knew that I couldn’t pray there. The moment my group arrived at the security check at the bottom of the Mughrabi Bridge, it became clear to me that this was going to be a humiliating ride – although I didn’t know how degrading it would get. The strange thing is that both Sapir and the police said it was a relatively uneventful, quiet visit, leaving me to think: Really? The norm is for Israeli Jews to be treated like dangerous criminals just for wanting to walk around? In the State of Israel? I suppose I knew from what people like Glick and other activists have said, but to experience it was jarring, and that was what changed my mind about writing about my visit. From the start, the sense was that the police work for the Isalmic Wakf, which manages the site, and not for the citizens of Israel. They treated us with disdain, and catered to and tried to anticipate every inane complaint by Wakf staff. At the top of the Mughrabi bridge, a police officer looked me up and down and murmured something about my clothes. I’m religious. I know how to dress at a holy site. I wore a head-covering, a longer skirt than usual, and a shawl covering my elbows. “Your skirt,” the police officer said. “It completely covers my knees,” I responded, invoking the rules of every religious school I attended. Soon a Wakf employee showed up to express his outrage at the collective calves of myself, my mother and my sister, who is so tall that most maxi skirts are midis on her – that’s a lot of calf. Several more Wakf men closed in on us. Sapir calmly let us know that we don’t have to listen to them, but the police had other ideas, and made us wait at the entrance until they procured long shawls that my mother and sister wrapped around their waists. I tugged my skirt down a couple more inches. After that inauspicious beginning, we started the tour, with Sapir showing us remnants of Second Temple columns. He kept calm, despite the hubbub behind us. As Sapir talked, we heard shouts in our direction of “Allahu Akbar” by the infamous Morbitat, women in black paid by the Islamic Movement to harass Jews visiting the Temple Mount, who were a few meters away. In the past, they would get right up in visitors’ faces, but recently, the police has required them to keep their distance. At the end of the trip, we saw more of them by the Chain Gate, where police were not letting them enter the compound, so once again, they yelled at us from a short distance, loud as ever. Wakf guards followed us every step of the tour. Not only followed us; surrounded us in every direction. There were 12 of them, 16 of us and three police officers. Some of the guards were dressed just like Shin Bet guards; others wore polo shirts with Wakf insignia. I smiled at them; they stayed stony-faced at all times, except for when we committed some mysterious offense. During the tour, we were constantly yelled at for doing things that tourists, or at least people who didn’t look like religious Jews, were doing, first by the Wakf officials in Arabic, and then by police translating into Hebrew. Things like stopping too long (whatever that means) to take a picture or sitting on a ledge. I wasn’t stopped from taking pictures, probably because the Wakf was unaware of my running commentary on twitter, but they were not happy when I took a picture of the Wakf officer who was taking pictures of the group. (“Say cheese!” I tweeted.) Meanwhile, the Wakf men could smoke and throw their cigarette butts on the ground without a problem. The amount of garbage spread around the area was not only offensive to my religious sensibilities, but was mind-boggling considering that they must have a lot of staff with little to do if 12 of them were needed to stalk us. At one point, my family took a photo together in front of the Dome of the Rock, and we were shouted at for touching. It didn’t matter that I told them the man with his arm around my shoulders is my father. No touching. The cop at the beginning forgot to tell us that rule. The most Kafkaesque moment of the trip was when Sapir stopped at a pathway that led to where the Holiest of Holies was and talked to us about the Temple. I closed my eyes and tried to imagine what it would have looked like then. I was reminded of the prayers describing the State of Israel as the “first flowering of the redemption,” and that here, in this litter-strewn plaza full of unfriendly people, is where that redemption will, God willing, come to fruition. Sapir’s guiding moved me to tears – though the distress the Wakf guards were causing me, along with the ongoing sandstorm probably helped – and I took my sunglasses off and wiped my eyes. For the rest of the tour – this was midway through – it seemed I had my own Wakf guard who stayed close to me and took pictures of me. My sister managed to take a great picture of me with a big smile, next to my personal guard scowling. Looking back at the trip it seemed fitting that crying was the offense I reprimanded for. As the prayer says, our forefathers sat by the rivers of Babylon and wept while they remembered Zion, and there I was, weeping for the same reason at the Temple Mount.